Authors David S. Cohen and Krysten Connon join reproductive health advocate Jen Boulanger and Rewire Editor in Chief Jodi Jacobson to discuss Living in the Crosshairs: The Untold Stories of Anti-Abortion Terrorism. 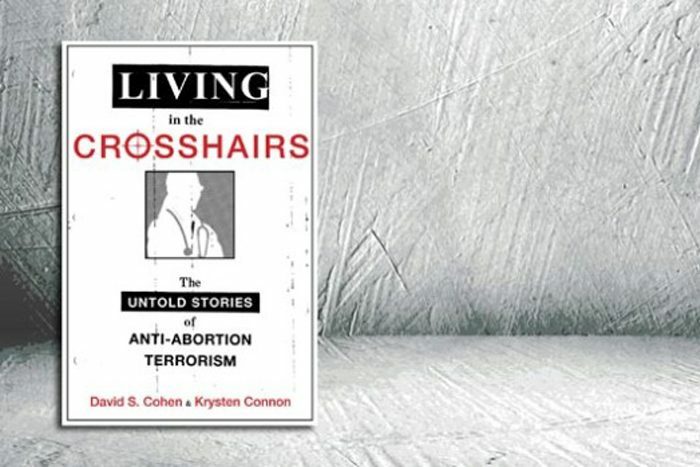 Rewire on Wednesday hosted a virtual book discussion featuring David S. Cohen and Krysten Connon, co-authors of Living in the Crosshairs: The Untold Stories of Anti-Abortion Terrorism. In their book, Cohen and Connon share the powerful, moving, and sometimes terrifying tales of health-care workers who live under the threat of anti-choice harassment and violence. Joining Cohen and Connon was Jen Boulanger, director of communications for a group of independent reproductive health-care centers, who spoke about her own personal experiences as a provider subject to stalking and violence at the hands of anti-choice agitators. Abortion providers have experienced an uptick in violence and harassment following the summer release of deceptively edited videos seeking to slander Planned Parenthood Federation of America from the anti-choice front group called the Center for Medical Progress. David S. Cohen, a law professor at Drexel University, where he teaches constitutional lawand genderand the law. Prior to teaching, Cohen was a staff attorney at the Women’s Law Project. He is currently on the board of the Women’s Law Project and the Abortion Care Network. Krysten Connon, an attorney at Pepper Hamilton LLP in Philadelphia. A 2012 graduate of the Drexel University School of Law, Connon has also worked as a federal judicial law clerk. Jen Boulanger, director of communications of The Women’s Centers, a group of independent reproductive health care centers. Jen has a Master of Education degree in Counseling and Human Services and more than 20 years of experience in the field of abortion provision, both in managing health care centers and counseling people making complex pregnancy decisions.